Steam and its myriad sales and bundles is responsible for much of the content clogging up your backlog. Chances are, you’ll never got to playing all of those games, because you’re always buying new ones. Origin wants in on that backlog-stuffing action too, and has kicked off a new sale that takes a dig at the Steam games you don’t play – by offering ones it’s certain you will. Honestly? It’s not the greatest list of games, but there are some great bargains to be had if you can stomach using Origin. You can pick up games like Starbreeze’s Syndicate FPS for a cool R59.98, or Dragon Age Origins or Mass Effect 2 for just less than R15. Yes, fifteen. Other worthwhile specials include Bulletstorm, Dead Space 2 and Mirror’s Edge for R30, and Kingdoms of Amalur for R60. 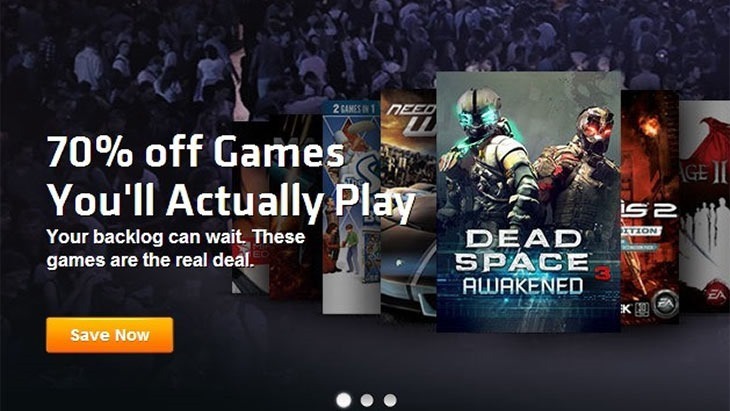 If you need games to play on the cheap, check out Origin’s Player Appreciation specials here.